This guidance involves activities that a grantee and grantee staff must not undertake because of the political activities and lobbying provisions of the LSC statutes and regulations. See 45 C.F.R. Parts 1608—Political Activities and 1612—Lobbying. This guidance uses the term “lobbying or political activities” as shorthand for any activities prohibited by these restrictions, which include lobbying, grassroots lobbying, and political activity. Lobbying example: A grantee stating on social media that Congress should increase funding for LSC. Political activity example: A grantee endorsing on social media a candidate for election to Congress. Factual statements are generally not prohibited by Parts 1608 or 1612. Thus, a grantee can say that it employs 16 attorneys and LSC funds support 12 of them who handle an average of 400 cases a year. The restrictions applicable to LSC itself differ from those applicable to LSC grantees. For example, LSC grantees cannot ask Congress for more LSC funds. By contrast, the LSC Act permits LSC itself to discuss future LSC funding with Congress. Actions through social media in the name of a grantee or through a grantee’s organizational account must not include any prohibited lobbying or political activities. These rules apply to all types of expression. The same rules that apply to a sign on the door apply to a post on social media sites. This guidance addresses specific examples in social media, which include Facebook, Twitter, LinkedIn, Snapchat and Instagram. B. Likes, Follows, Shares, Etc. Social media have their own vocabulary. These are some of the typical uses of these terms. Usually, social media actions can either be public for anyone to see or limited to specific people or categories of people. A “post” has information, pictures, or videos that someone adds for other people to see and sometimes comment on or share. A “feed” shows posts from others with whom you have connected. A “page” or “home feed” shows a profile (“about”) and posts. Usually, every post on a feed has an author, and clicking on the author’s name brings up the author’s page or home feed. As used here, a page also includes a grantee’s traditional website. Some social media have multiple types of pages that may operate differently. For example, Facebook allows pages for individuals, groups, businesses, and organizations. If you “like” a page, you will see posts in your feed from another user’s page and the other user’s feed can show your posts. Sometimes the other user can see in their feed your likes, reactions, and comments to other posts, and you can see theirs. If you “follow” a page, you will see posts in your feed from another user, but the other user’s feed will not show your posts. Someone who follows you will see your posts and sometimes your likes, reactions, and comments to other posts. “Share” or “repost” are ways that you post through your account something that another user posted on their account. These are also ways to add a link on your website to something on another entity’s website. 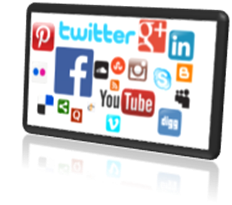 A grantee may have a social media account. This guidance addresses an account that the grantee uses as a public face similar to its website or a community bulletin board. People such as clients, donors, supporters, and critics, could follow or like the account. Posts—no lobbying or political posts. Shares or reposting—no sharing or reposting lobbying or political posts. 1. Ask yourself to what extent the posts on the other page or account are permitted or restricted communications, because your page will be listed as liking or following that page. 4. If you are uncertain, err on the side of caution, or ask LSC. 1. Ask yourself if you could directly post on your page the content of the item shared or reposted. 2. Sometimes you cannot share a post from a source that you can follow. Government actions—Senate Appropriations Committee announcement of FY 2017 funding, including LSC funding. Lobbying statement about LSC funding in the next budget—ABA statement of “outrage” at proposed elimination of LSC funding. Media articles solely about lobbying for LSC funding in the next budget—Wall Street Journal article about corporate counsel support for LSC funding. Opinion articles lobbying for changes to laws—New York Times Op-Ed arguing that Congress should expand Medicaid further. 1. Likes and reactions are all expressions of an opinion. Generally, you should be very careful using them because they are imprecise. Example: a sad reaction to an article about broken families due to deportation could mean support for the U.S. family members or could mean opposition to continued deportations. 2. Ask yourself if you could directly support or oppose the content of the other post. Do not use like or a reaction when a grantee could not say it supports or opposes the other post. Example: a Senator posts on her page a proposal to increase LSC funding. A grantee cannot add a like or a reaction because those are “lobbying” or “political” opinions about a proposed government action. 3. Does the other post contain statements that would be restricted if made directly by a grantee? Do not like or react to such a restricted post. Example: a newspaper posts an editorial advocating for more LSC funding. The grantee could not use any Facebook reactions because they all would express an opinion about increasing LSC funding. You can like a post by another LSC grantee about a successful case. You can react—for example, angry–to an OIG report about fraud at an LSC grantee. 5. Comments on a post should be reviewed with the same care as a press release. Normally, a personal social media account is not attributed to the person’s employer. You may use a personal social media account for your own personal political or lobbying activities, which could include posting, sharing, liking, and commenting. That doesn’t change simply because people who read it also know that you work for a grantee. But you must take care to avoid creating the impression that your actions should be attributed to your grantee employer when you engage in political or lobbying activities through social media such as posting, sharing, liking or commenting. 1. Not listing the grantee or your job in the profile avoids any questions about whether you are speaking for the grantee. 2. You can list the grantee and your job as part of the general biographical information. We recommend also adding a disclaimer if your posts contain statements that are political or lobbying. 1. Not mentioning the grantee or your job in posts avoids any questions about whether you are speaking for the grantee, unless you have listed the grantee in your profile, in which case we recommend adding a disclaimer as described above, where you are engaged in political or lobbying activities. Instead of identifying your employer (in either your profile or post), you can state that you are a poverty lawyer, or a legal aid lawyer, or a legal services lawyer. Instead of identifying your employer (in either your profile or post), you can state your experience, such as saying that you have worked in legal aid for 20 years representing poor people in evictions and other housing cases. 2. If you reference your grantee or your job, you must be careful to make clear that you do not speak for the grantee. I work at Central State Legal Aid (this is my personal post, not their position). During your working hours, you cannot engage in personal lobbying or political actions. That includes posting lobbying statements to your social media page. The best practice is to avoid all personal lobbying or political actions during your work day. That policy applies wherever you work, including teleworking from your home. If you engage in any lobbying or political activities during your work day, you should make sure to do so on your personal break, such as lunch hour. You cannot at any time use grantee resources for personal lobbying or political actions. Do not use a grantee phone, tablet, personal computer or laptop for any lobbying or political actions at any time. Do not do that even on personal time. While your grantee may permit some personal use of grantee devices, you cannot use those devices for prohibited activities. This guidance and other related materials appear on the lsc.gov website in the Grantee Guidance section.